Wildlife Partners is an innovative wildlife conservation company. Our model marries the desire to do good for the world with economic incentives. It has been proven that wildlife conservation does not have to be centered around an altruistic approach funded by donations. When it is accentuated by for profit motives, outsiders that would otherwise not participate, join the fight to save species from extinction. The benefits are gratification from doing a great thing for our planet, active participation in wildlife breeding/ranching, cash flow distributions and 100% tax deductions. We currently serve more than 300 private landowners in Texas and more than 40 conservation minded investors throughout the United States. Through our approach, landowners in Texas and beyond have learned how to convert their private ranches into cash flow producing wildlife sanctuaries. Additionally, we have a vehicle that provides non-landowners the ability to own wildlife, participate as a breeder, get hands on experience, generate revenue and convert tax dollars into usable assets. We have produced results and our partners love what we do! In addition to the support from within the financial community, we have developed meaningful relationships with zoos all over the Unites States. We have created solutions for breeding related challenges within the zoo community and our model seems to be facilitating meaningful change to the industry. 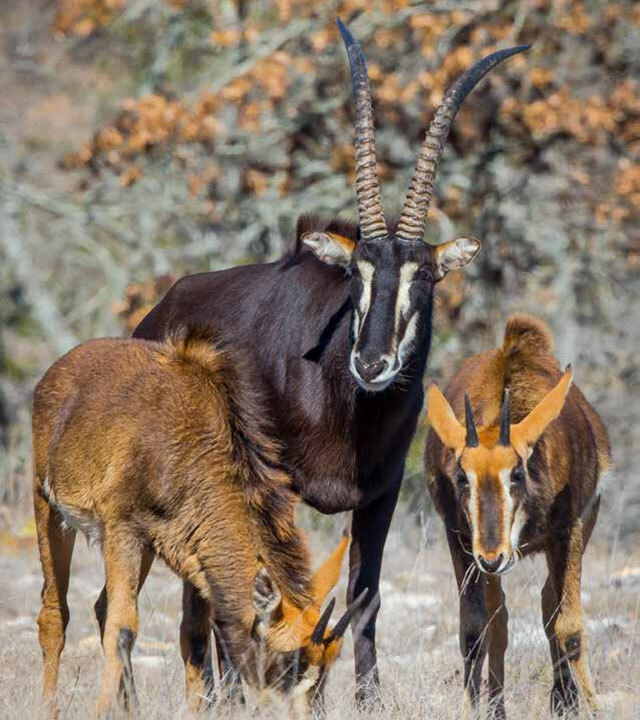 Our company offers superior service, expertise, and credibility for anyone interested in breeding exotic wildlife as a method of generating cash flow for their ranching operation. Wildlife Partners owns two breeding facilities. One is located in Mountain Home, Texas and the other in Pettus, Texas. These two properties are home to more than 50 species of exotic wildlife. These properties serve as a great example of how successful wildlife conservation can be once a capitalistic motive is employed. Wildlife Partners has invested millions of dollars in infrastructure and has assembled the best staff in the industry. On our ranches, there are thousands of animals, and births almost every day. View our short video to learn more.